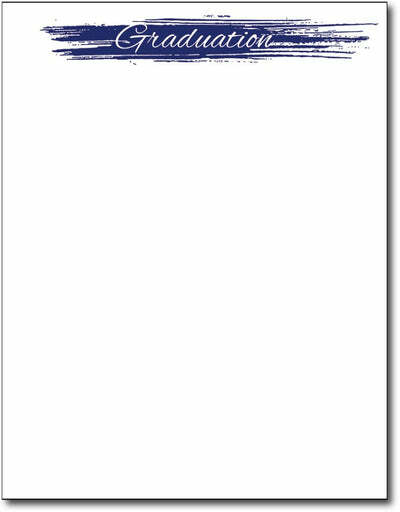 Graduation Statement Letterhead by Great Papers features the word "Graduation" over a blue brushstroke and white background. This stationery works perfect for sending graduation congratulations, thank you's, or words of encouragement. Graduation stationery is also great for invitations! This stationery paper is made from a 50lb Text paper stock that is inkjet & laser printer compatible. Each stationery sheet measures the standard Letter size of 8 1/2" x 11".